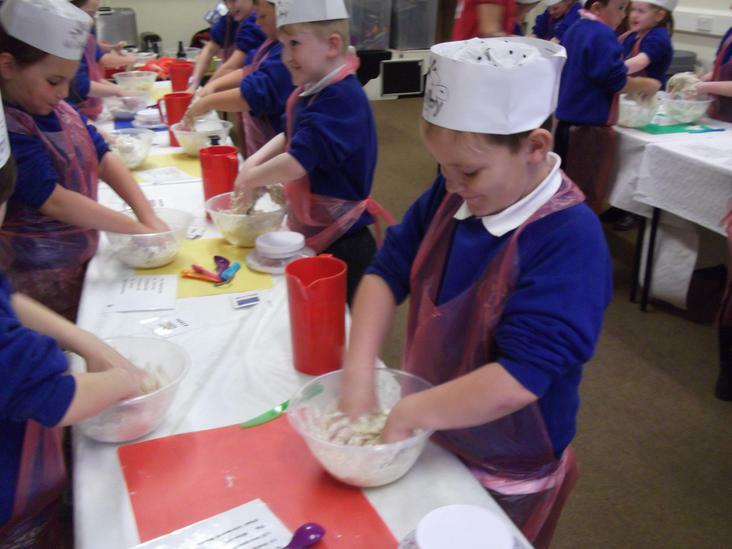 Welcome to the Year 3/4 class page! 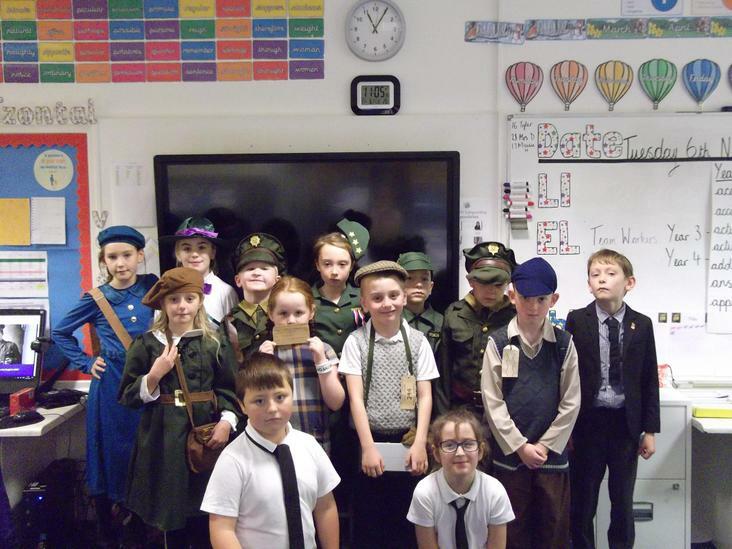 We are a class of 25 children. 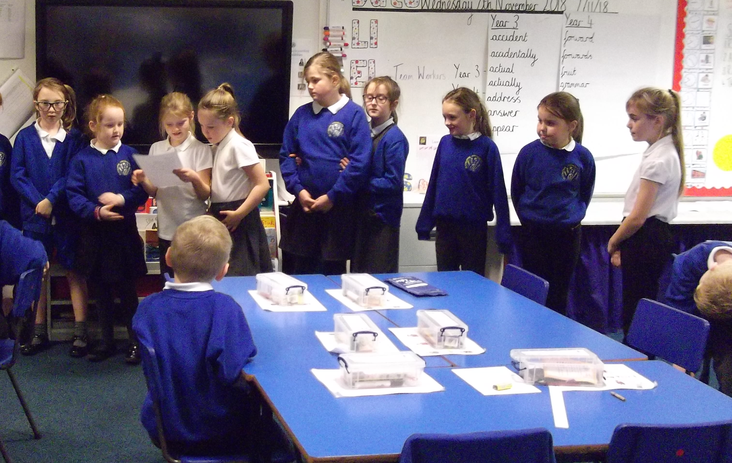 Our class teacher is Mrs Dudding and our teaching assistant is Miss Ray. 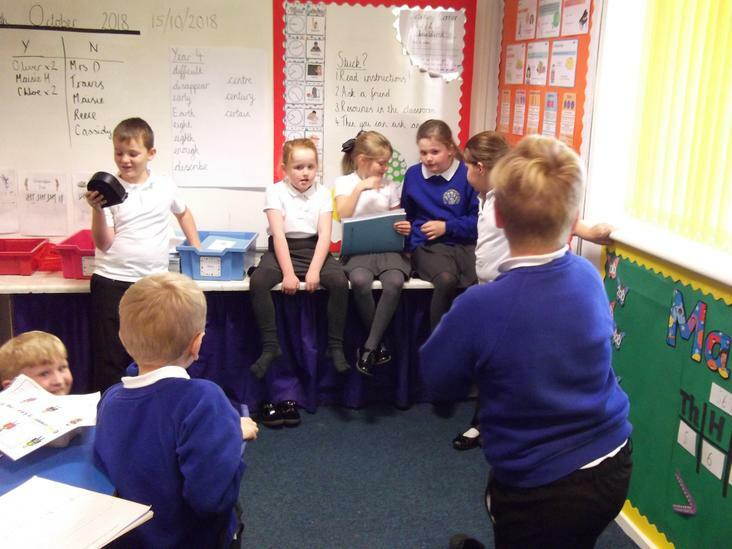 We will share what we have been getting up to on our class page! 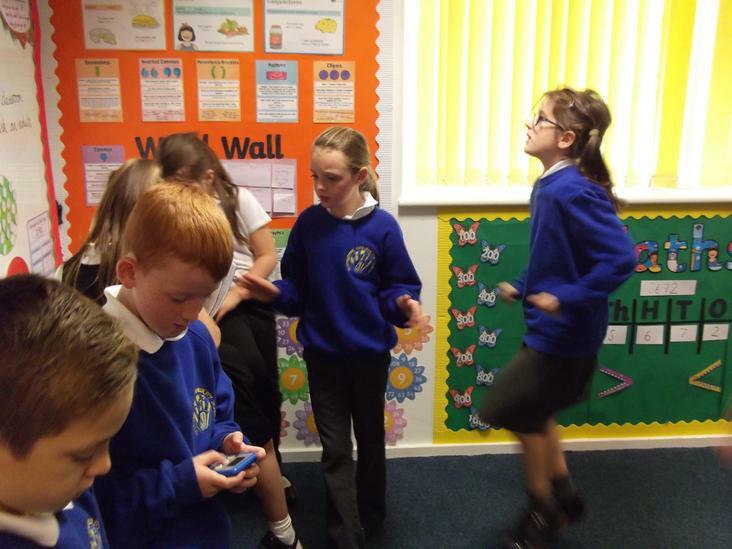 You can also keep up to date with your child's academic achievements through Earwig. 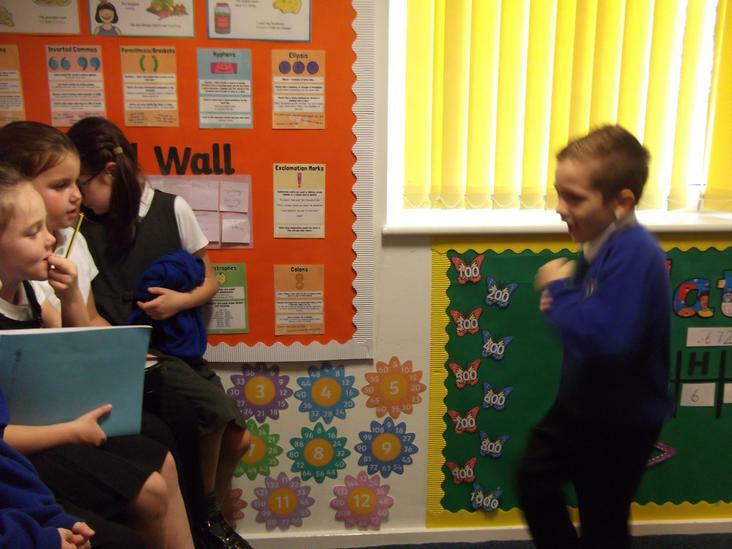 P.E is on Tuesdays and Wednesdays. 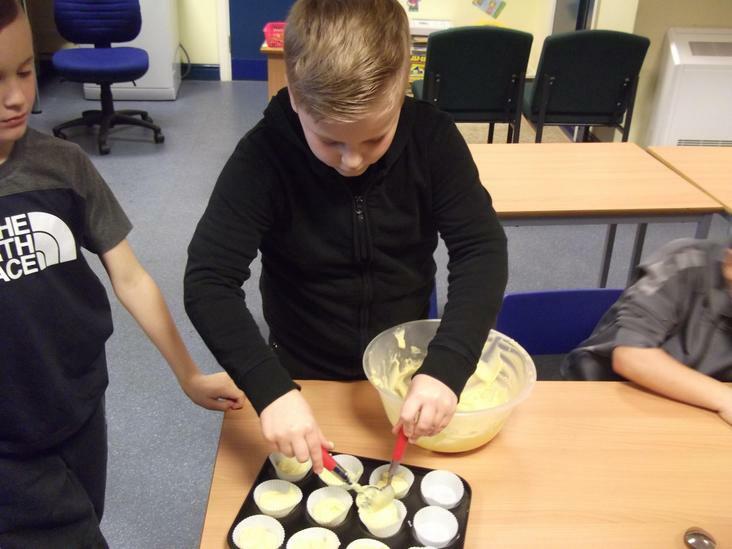 Please can all children have their P.E kits in school from Monday to Friday. 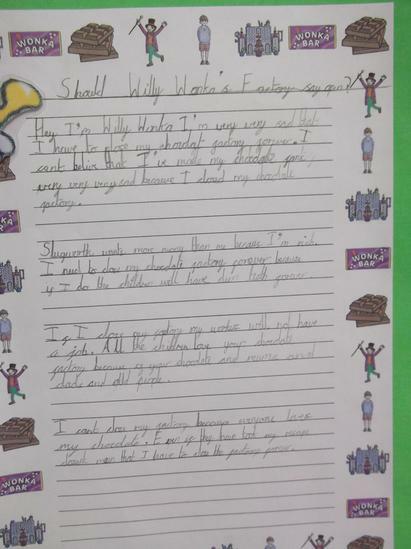 Homework is sent home every Friday and needs to be returned the following Friday. 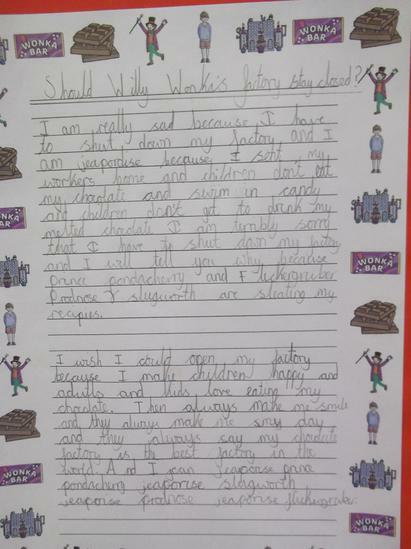 We encourage the children to read every night at home and every child that reads five times a week for the full half term will achieve Strive for Five. 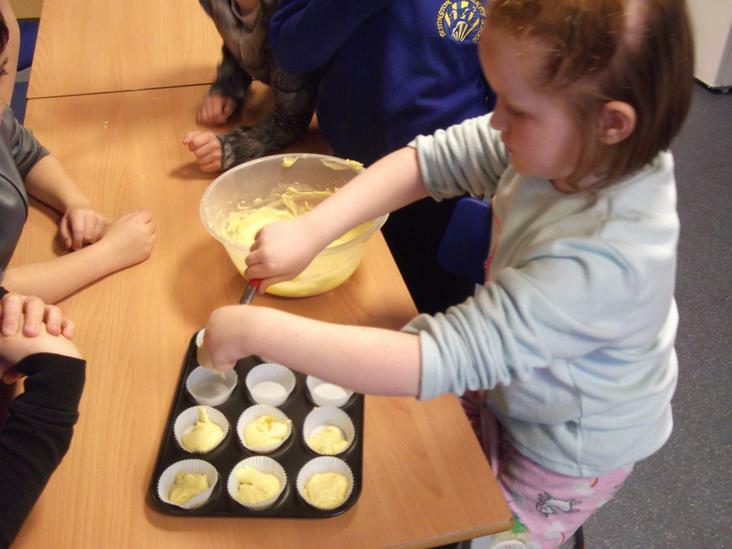 Snack money will be £1 per week and should be handed in to the class teacher every Monday. 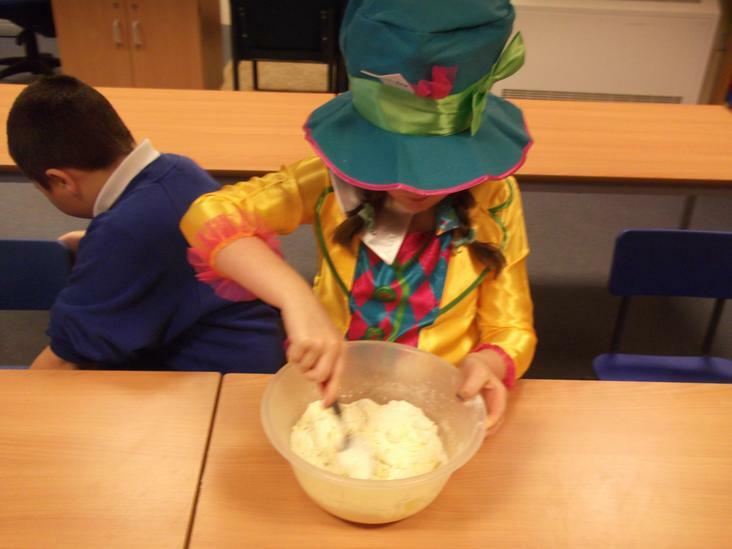 Our theme this year was Alice in Wonderland and after some wonderful descriptive writing about what happens to Alice when she gets to the bottom of the rabbit hole we had a Mad Hatter's Tea Party with homemade cakes! 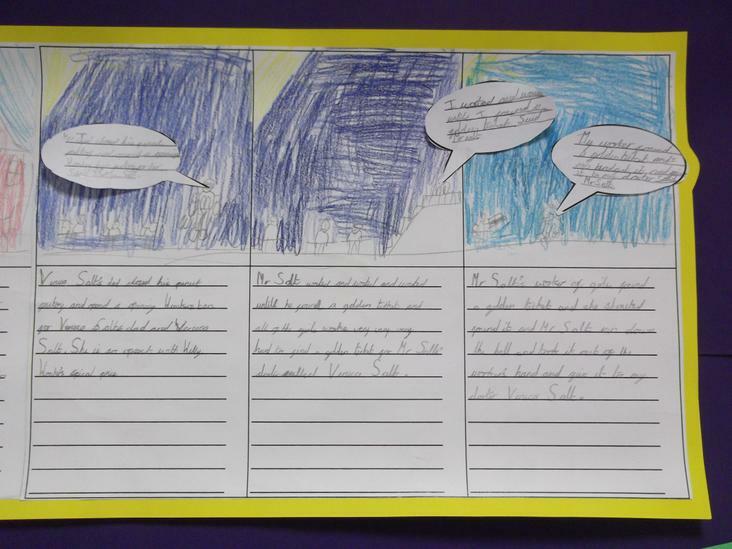 Our topic question this half term is 'What makes the Earth angry?' 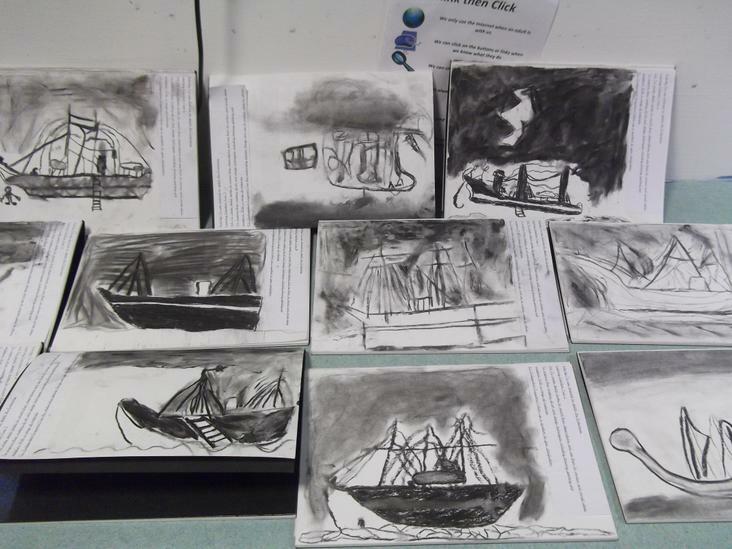 We will be learning about earthquakes and volcanoes in geography and famous explorers in history. 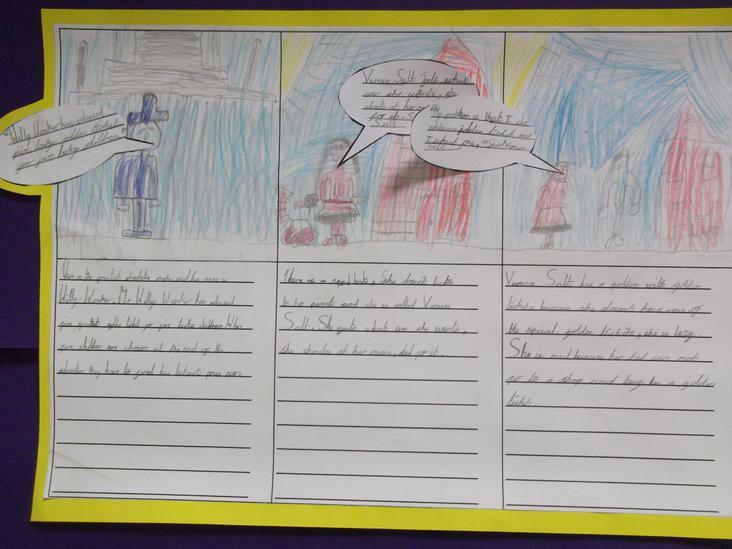 To start off the topic we are learning about Ernest Shackleton and his perilous expedition to the South Pole. 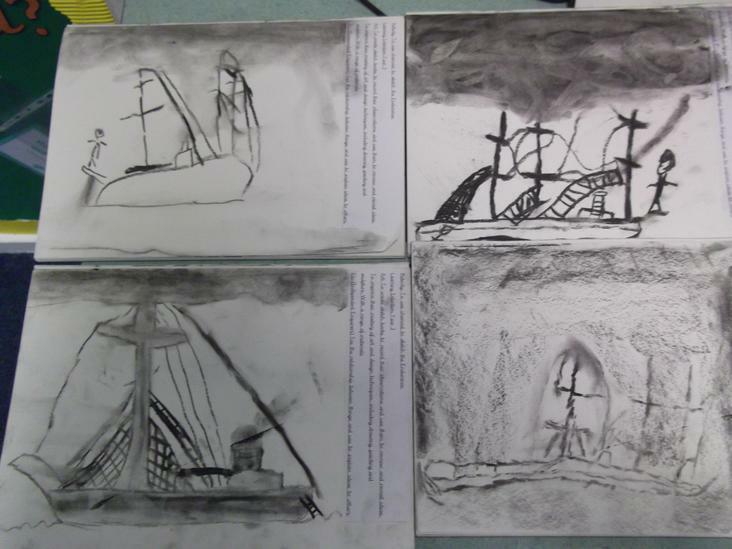 The children have been using charcoal to sketch Shackleton's ship, the Endurance. 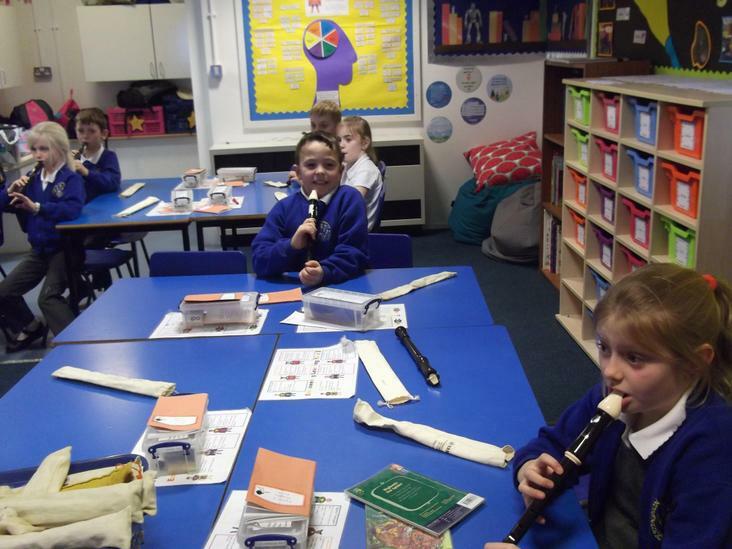 In Music we are continuing to learn how to play the recorder. 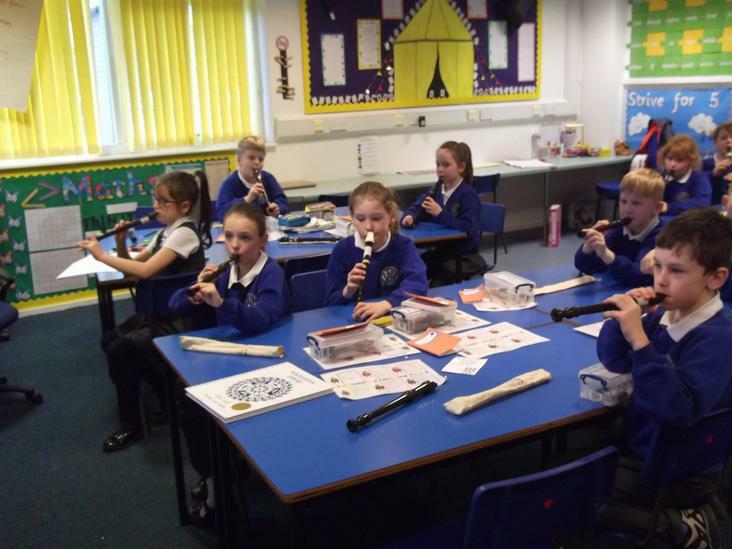 This week the children learned how to play a G! 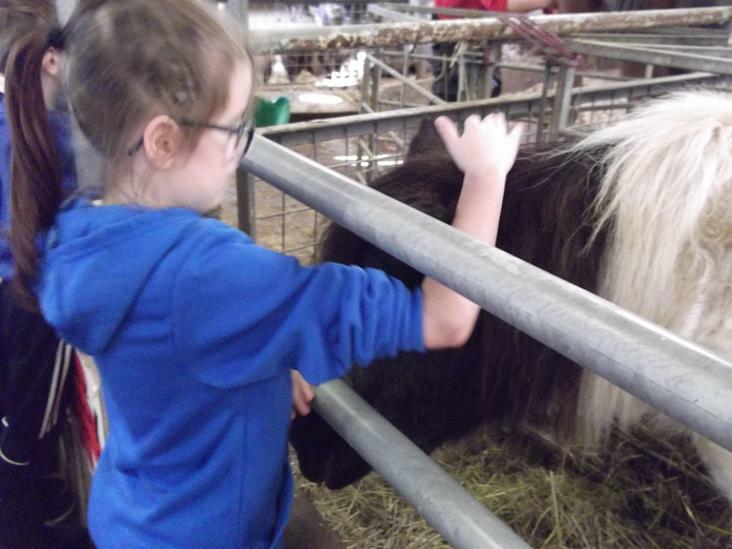 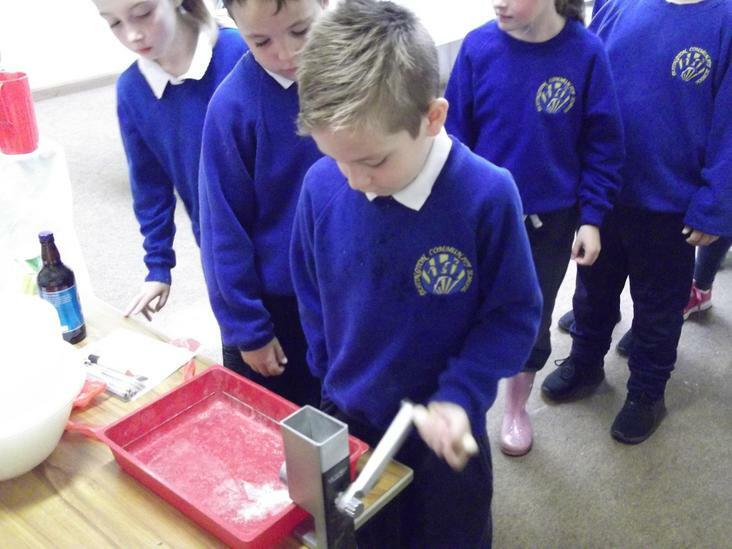 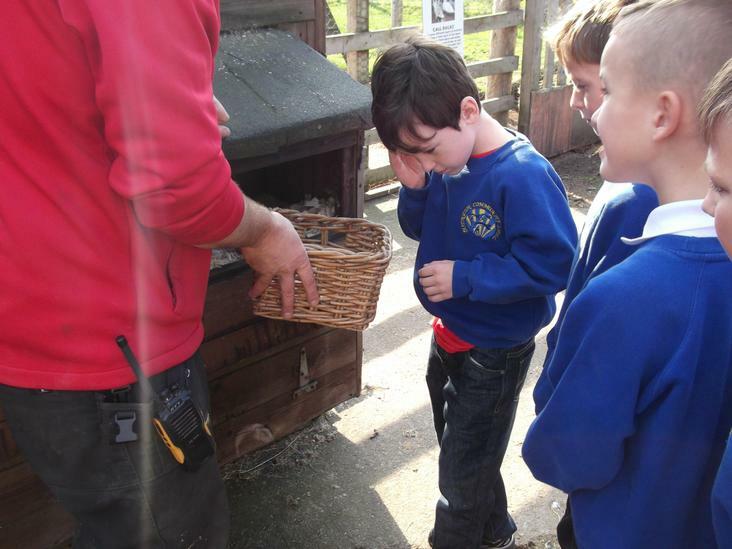 Our first class trip was to Walby Farm Park to compliment our Science and Geography topics this half term. 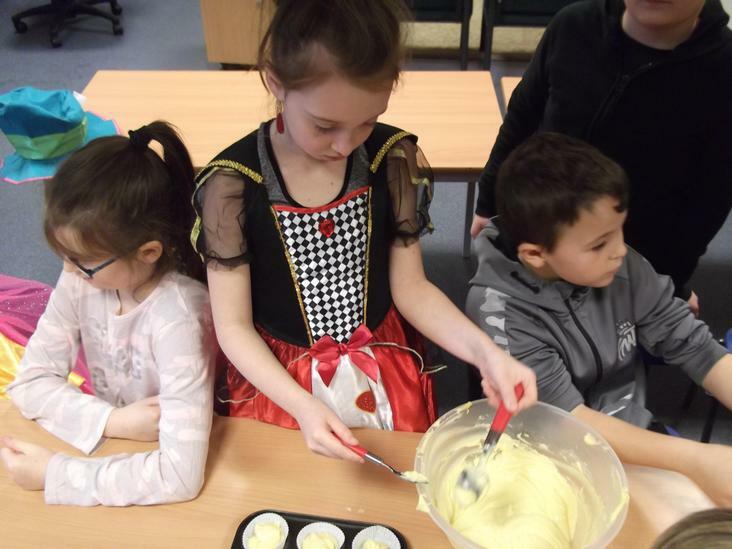 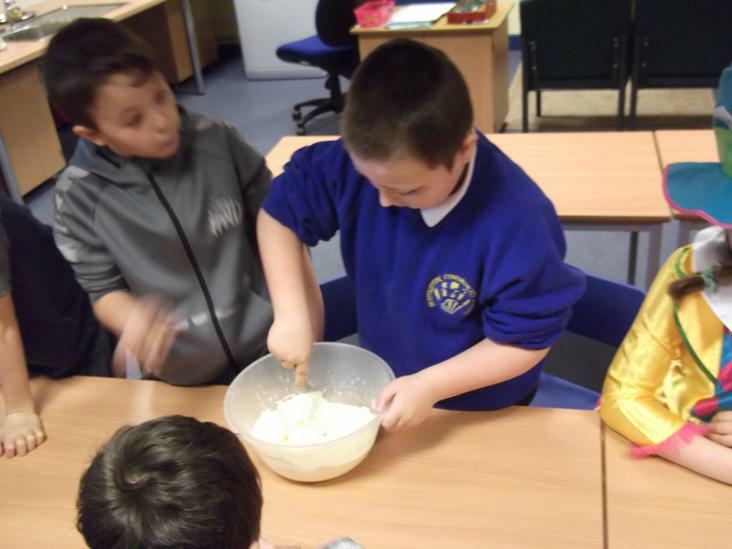 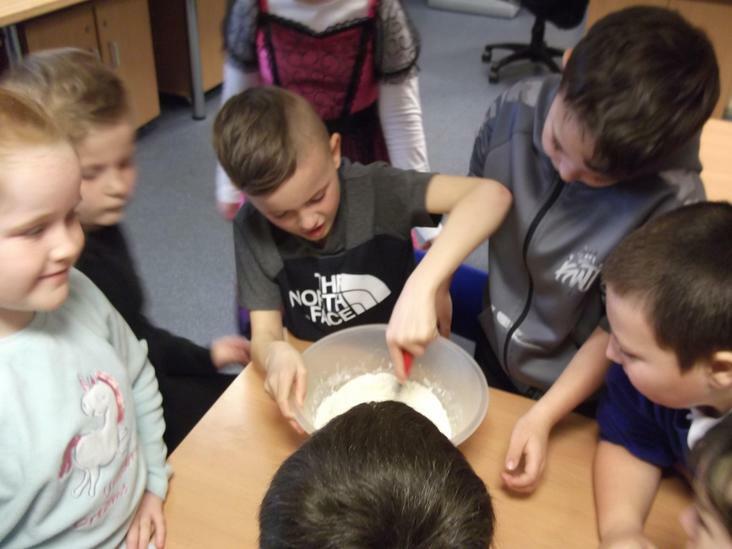 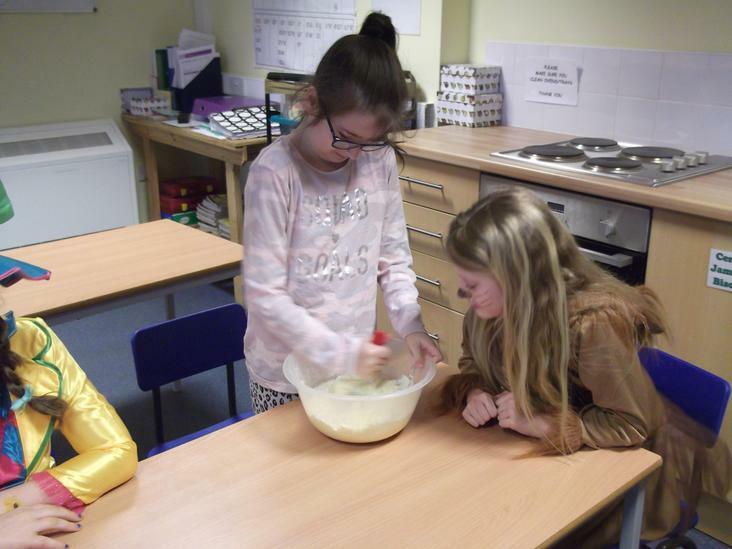 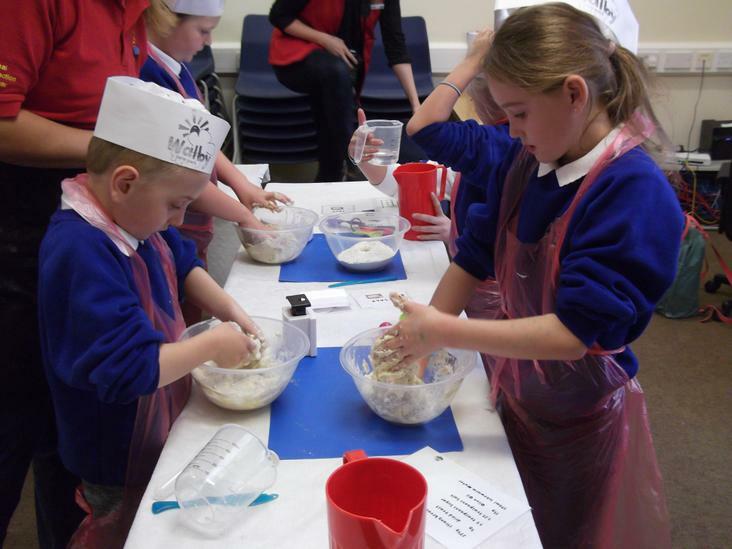 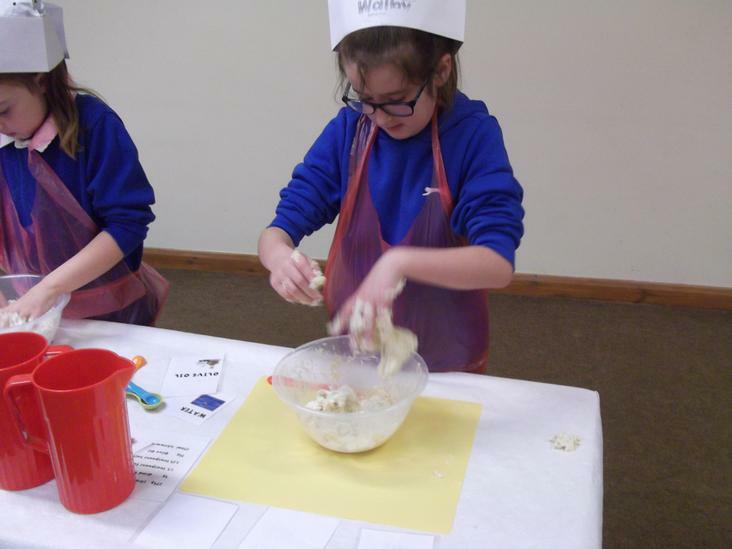 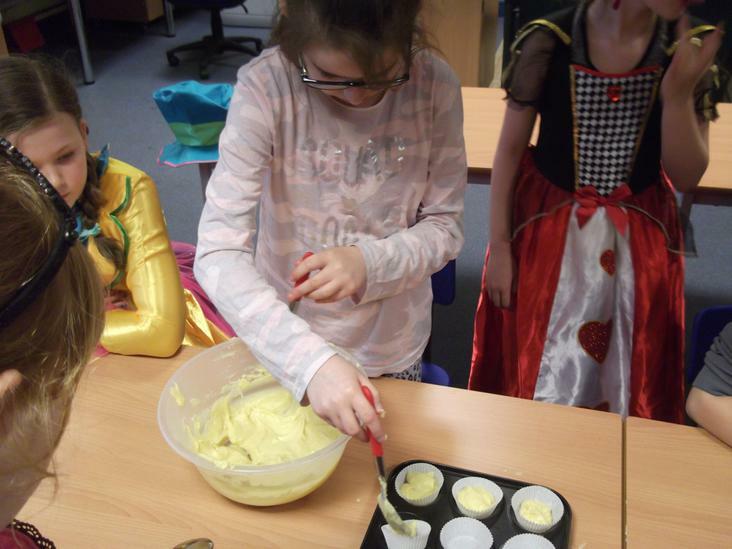 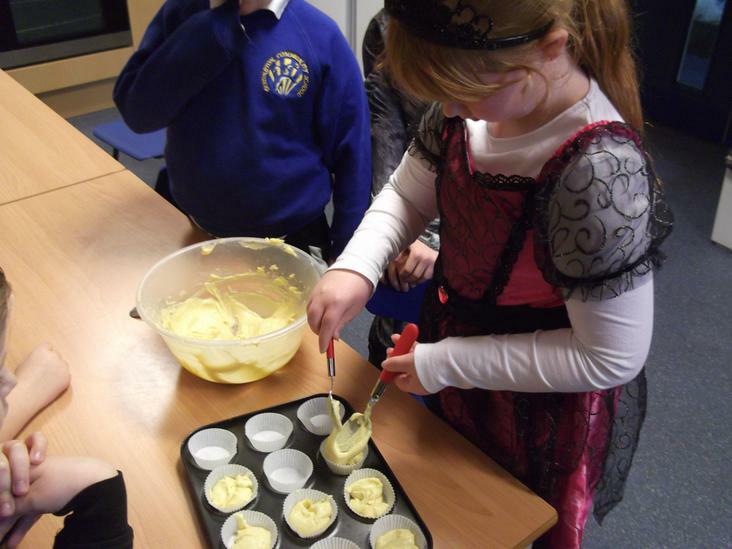 We had a brilliant time making bread and learning about where the ingredients in our bread came from. 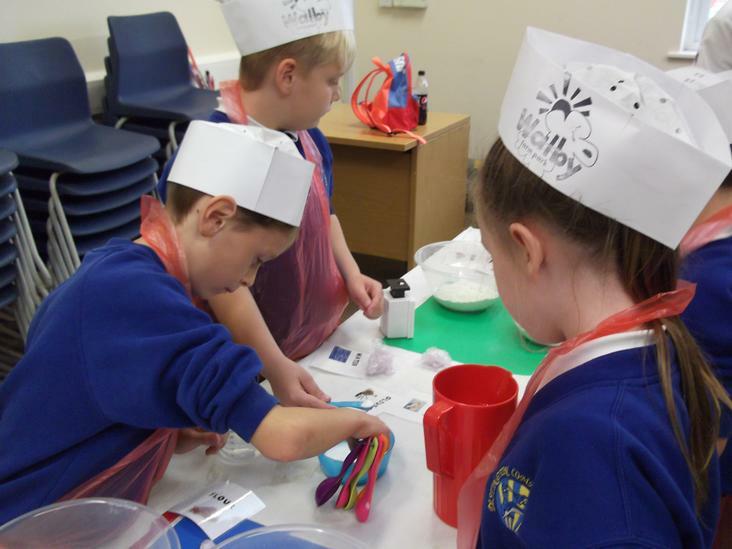 The Year 3s have been learning about nutrition and the Year 4s have been looking at the digestive system in Science. 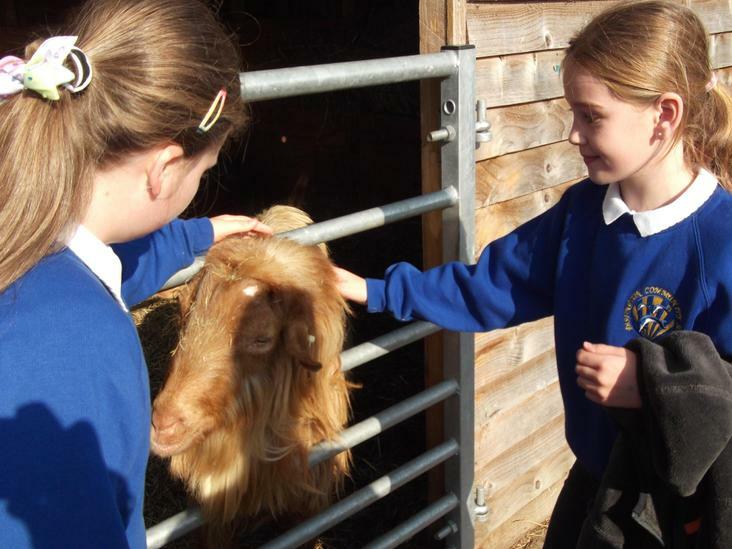 As a class we have looked at land use in Geography, and we went on a tour around Walby Farm to look at the different uses of the farm land there. 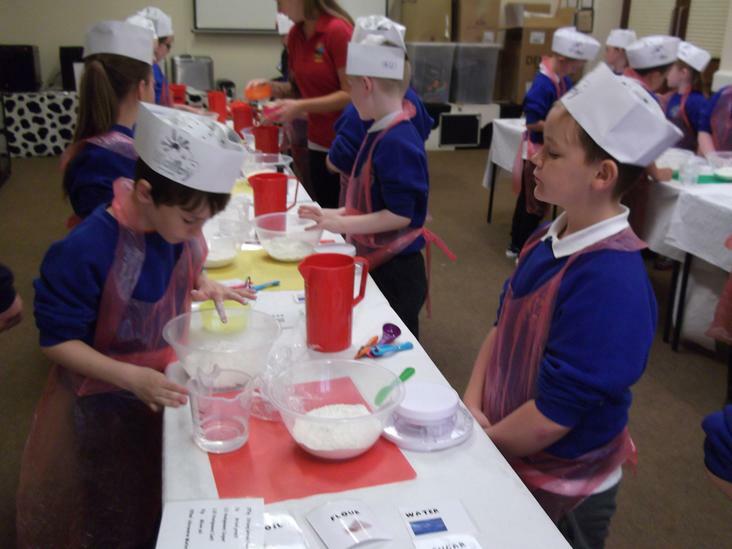 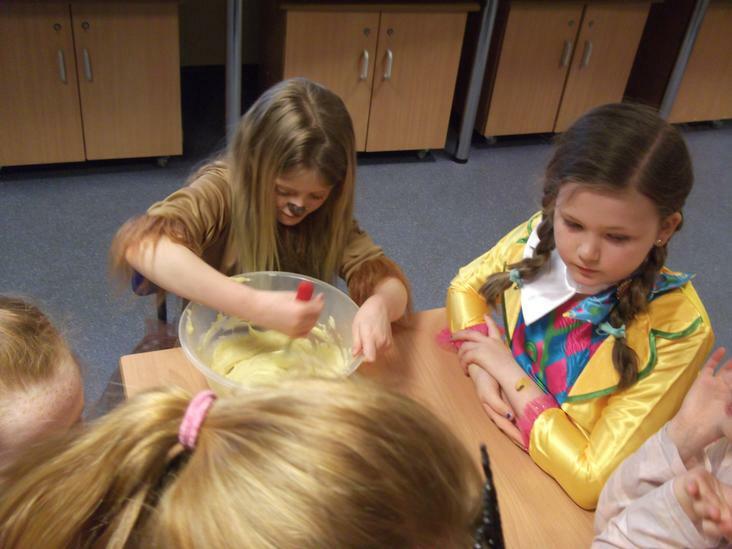 In Science this half term the Year 3s have been learning about nutrition and the human body. 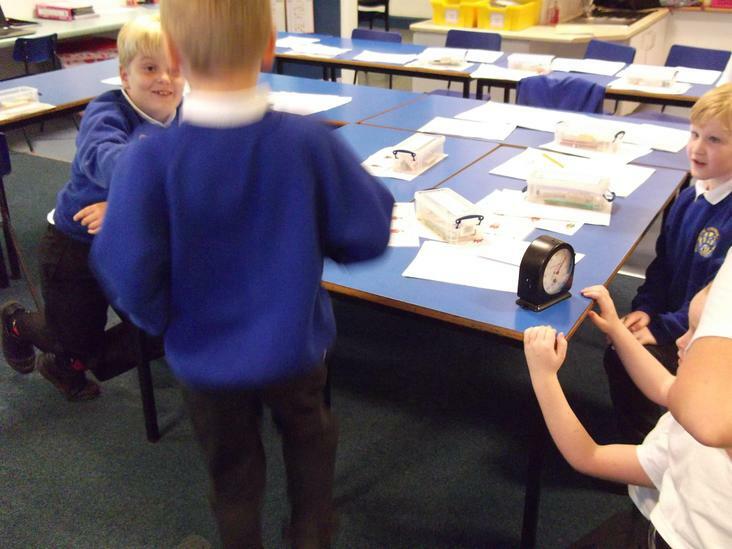 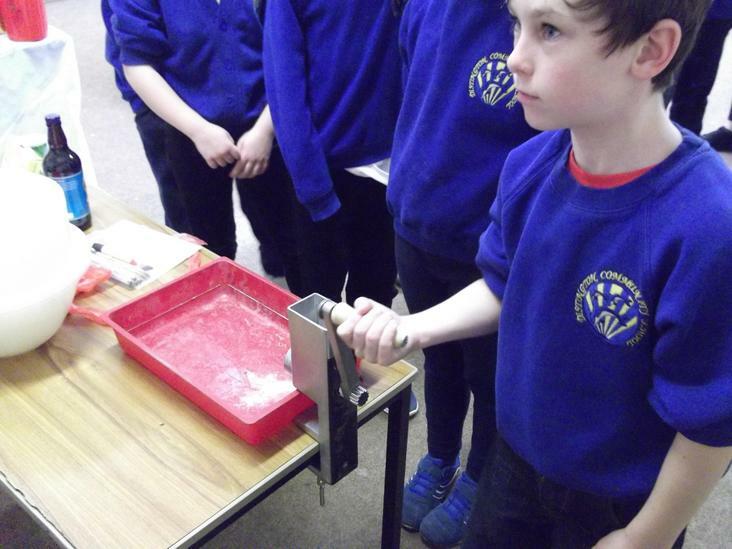 To finish off the topic they carried out some investigations into balance and lung capacity. 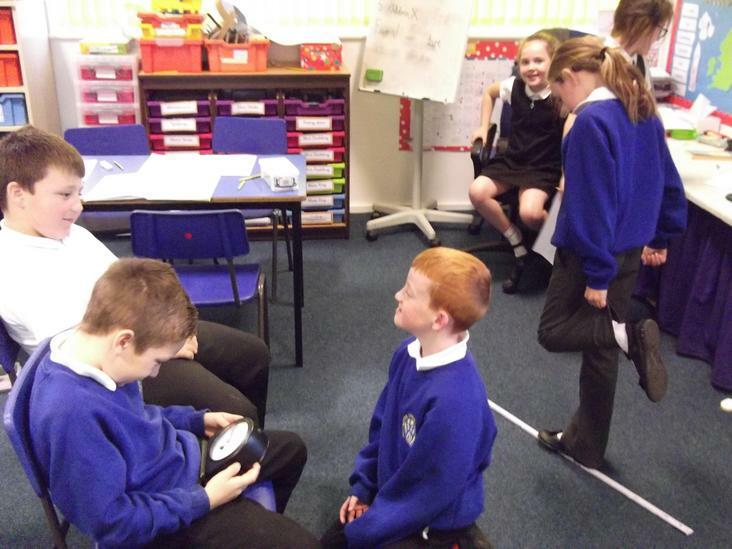 Here they are carrying out their investigations and recording the results. 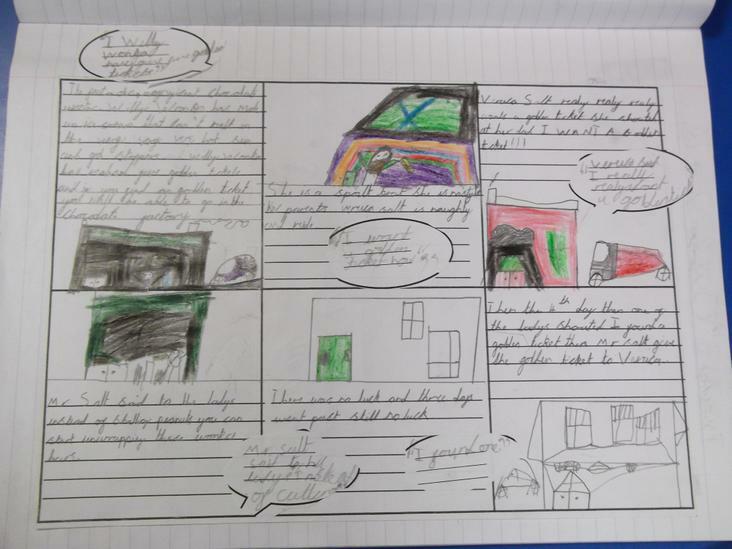 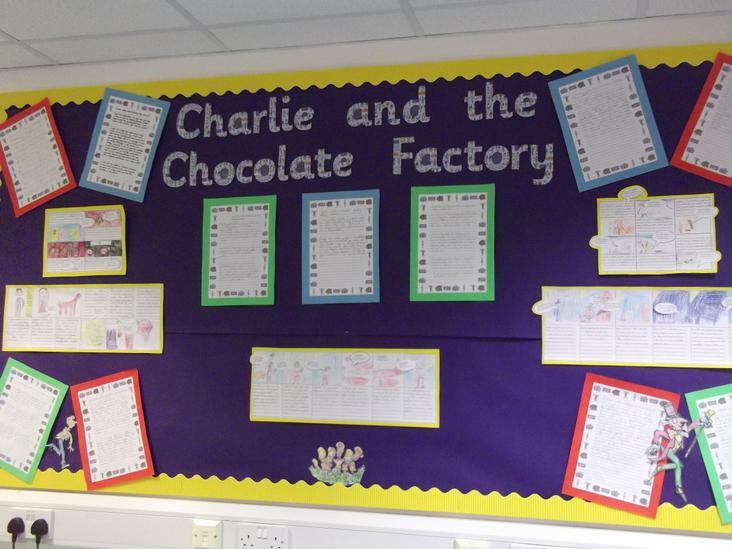 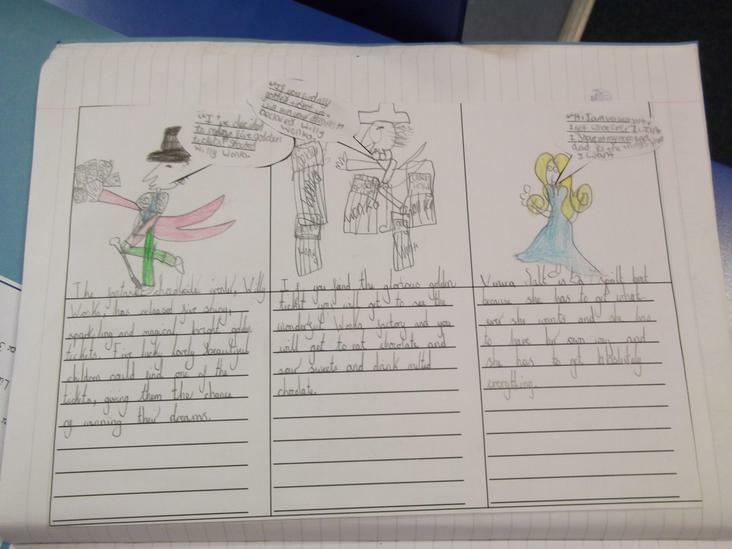 Our topic this term has been Charlie and the Chocolate Factory and we have produced some amazing writing in Literacy, including a comic strip and a biased argument. 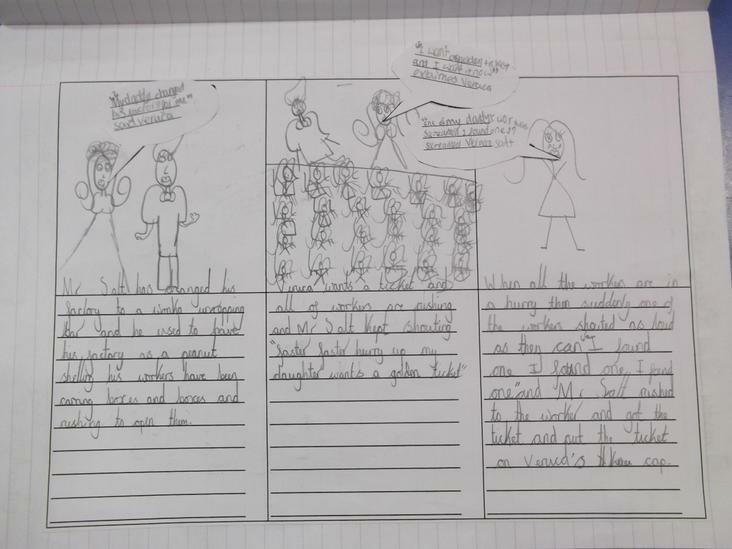 To mark the centenary of the end of the First World War there have been a lot of exciting things happening in school this week. 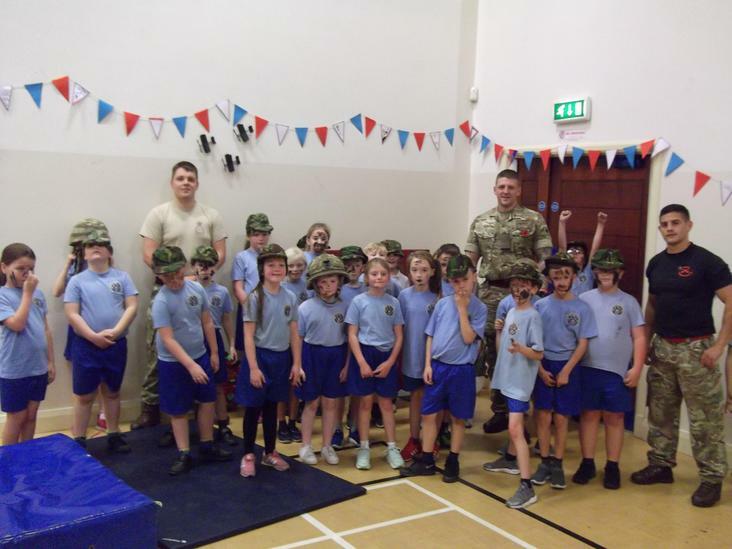 In Year 3/4 we dressed up, had an army style training session from the Lancashire Regiment, and studied some war poetry in Guided Reading. 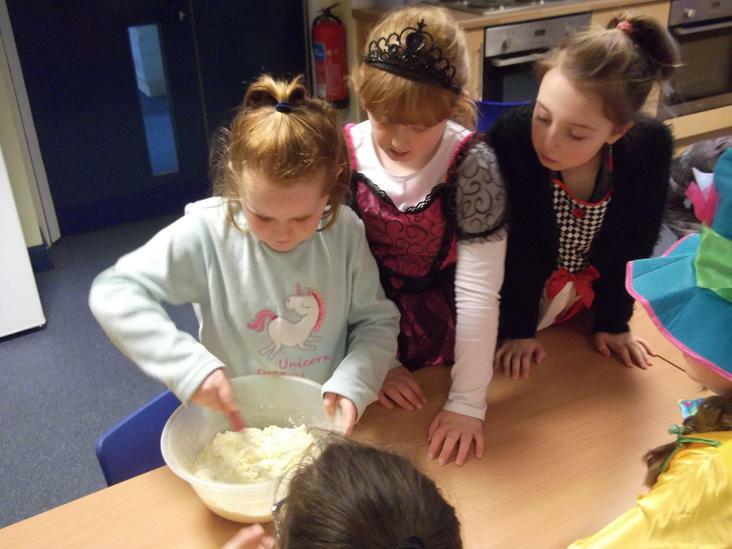 The girls are performing the poem 'War Girls' by Jessie Pope, which tells of the sacrifices women made during the war.